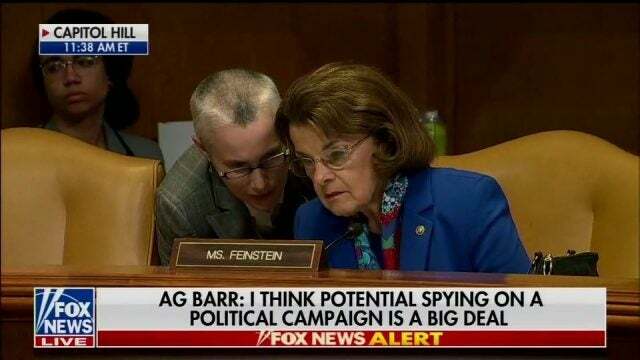 Maybe there’s more than one spy and he’s explaining to her which spy Graham’s talking about. THE PRESIDENT: It was an illegal investigation. It was started illegally. Everything about it was crooked. Every single thing about it. There were dirty cops. These were bad people. You look at McCabe and Comey, and you look at Lisa and Peter Strzok. These were bad people, and this was an attempted coup. This was an attempted takedown of a president, and we beat them. We beat them. 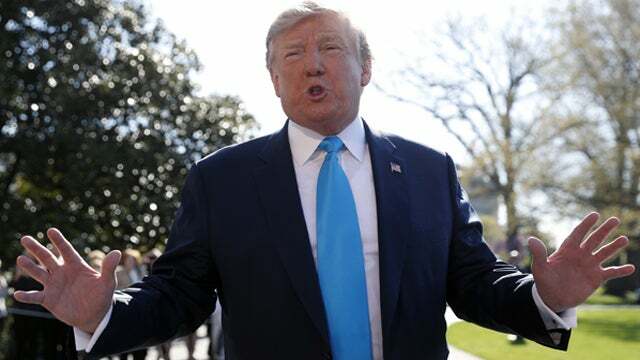 So the Mueller report, when they talk about obstruction? We fight back. And do you know why we fight back? Because I knew how illegal this whole thing was. What I’m most interested in is getting started. Hopefully the attorney general — he mentioned it yesterday; he’s doing a great job — is getting started on going back to the origins of exactly where this all started. Because this was an illegal witch hunt. And everybody knew it. And they knew it too. And they got caught. And what they did was treason. There’s never been anything like it in the history of our country. The president claims he hasn’t seen the report, hasn’t seen the summary, hasn’t seen anything, but he’s obviously confident enough now to go out and call it what it was. By the way, I think it’s ongoing. This is a point that I have continued to make. This is not, it never has been, an investigation. It is an attempt to overturn the election results of 2016 and get rid of Trump. And that effort is underway, it’s ongoing, and it isn’t gonna stop. Now, there is gonna be some accountability for the people that were responsible for this, and there’s gonna be a lot of quaking in the boots for a lot of people at the FBI and some of the intelligence agencies, Brennan and Clapper and the media is gonna be included in this. But it’s not gonna stop them from attempting to ruin or damage Donald Trump. But running around calling it what it is, this is language that legitimate members of the Washington establishment do not use. Even the victims of these kinds of political plays are not to ever accurately describe what happened. If you’re an acknowledged member of the establishment and for any reason the establishment turns on you, you are to take it. You are to deal with whatever they dish out. And if they fail to take you out, you are not to gloat about it, and you’re not to call them out on it. You are to accept that they failed and move on. THE PRESIDENT: Now, Stephen is an excellent guy. He’s a wonderful person. People don’t know him. He’s been with me from the beginning. He’s a brilliant man. And, frankly, there’s only one person that’s running it. You know who that is? It’s me. “Well, you know what I mean.” George Washington is one of the Founding Fathers who doesn’t get, in the modern era, nearly enough education. 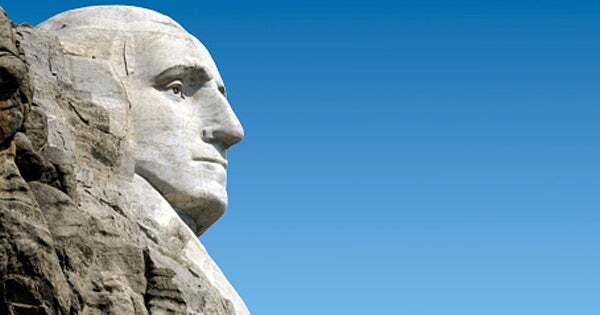 People are not taught anymore nearly enough about George Washington. And I’m thinking of correcting that at some point, maybe even on today’s program or later on during the week. We have time for — no. Let’s take the break. We’ll come back, and we’ve got more Trump talking to the press on the way to Marine One.